The boys coming home from the workhouses, would strap large cuddly toys to their back, so when the serial killer of children came, it would give them time to escape. The killer would shred the teddy bears stuffing, leaving the children to run free. 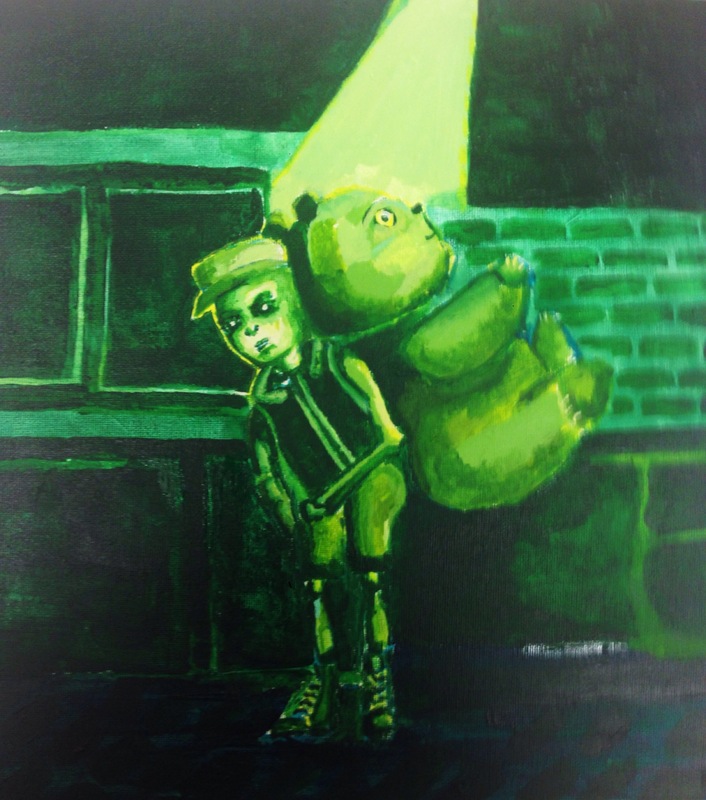 This entry was posted in Abstract and tagged bad dreams, green, nightmares, victorian workhouses by candyfeverjones. Bookmark the permalink.